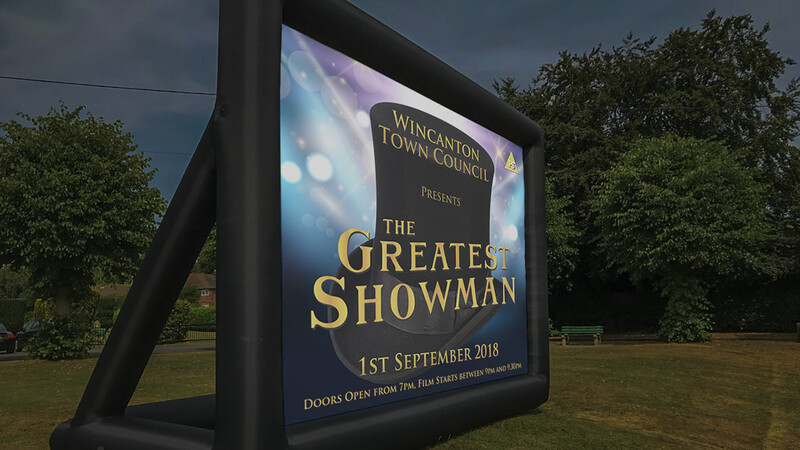 In recent months there has been chatter on the interwebs about having an open-air film at Wincanton's Cale Park (the recreation ground) this year. Back in July, Town Clerk Sam Atherton brought the suggestion to Wincanton Town Council to see if it could become a reality. Money had been set aside previously to support a market in Wincanton, but having failed to secure stalls the market fell through. The Council decided to use the kitty to fund the film event in the park instead. All expenses will be covered, so it'll be free for all! On Saturday September 1st, the film will be The Greatest Showman (12A). The event will start between 6:30pm and 7pm, and the show will start at 9pm. Food and drink will be provided for purchase at the event, but you are welcome to bring your own picnic, so pack a blanket and enjoy! Kate Freeman from Winky Kicks Cancer is organising stalls for the event. The plan includes a Prosecco and Pimm's bar, Bootmakers Workshop will have a stall for pizza and crepes, and Cale Park Kitchen will be open and providing an American "drive-thru" menu. This is a free community event the Council hopes will be well supported. If it works well it may be repeated in future. Wincanton Sports Ground will be providing portable bins, and there will be three portaloos. All the proper licences and insurrance have been arranged. As such, there are no unusual rules, but you will be expected to make repsonsible use of the bins provided. Wincanton Town Council is offering an opportunity to have an ad displayed on the big screen as part of a rotation before the film begins. Ads will cost only £30, including free design service. If you have any questions about this event, or would like to take advantage of the advertising opportunity, contact Sam Atherton at the Community Office at or on 01963 31693. [UPDATE 28/08/2018:] Apologies for neglecting to mention that it is Wincanton's very own Bobcat media that will be providing and operating all the audiovisual hardware for the evening, including the fantastic inflatable outdoor screen! [UPDATE 01/09/2018:] The film may start at the earlier time of 8:30pm, by popular demand from the younger folk. The sun sets a little ealier these days, so we should be able to get away with it.